2011 Approved American National Standard produces the safety requirements for transportation, storag..
By the U.S. Dept. of Interior. Authors: Michael F. Rosenthal and Gregory L. Morlock. 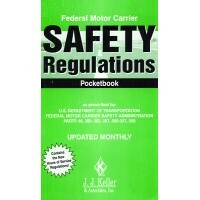 Deals with the ..
Pocketbook (Monthly) U.S. Department of Transportation Federal Highway Administration Parts 382, 383..
Give drivers easy access to word-for-word Federal Motor Carrier Safety Regulations (FMCSRs). Include.. Trusted and used by airlines around the world for more than 50 years, this newest version of IATA’s .. 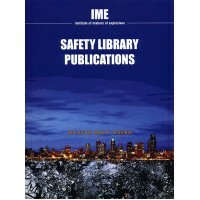 The complete set of IME Safety Library Publications in a three-ring binder. Documents included are: ..
For manufacture, transportation, storage and use of explosives, NIOSH Report. Regulations, standards..
For manufacture, transportation, storage, and use of pyrotechnics, Includes field mixing. Softcover,..